Obituary for Fred Gordon Hollinger | Providence Funeral Homes & Crematorium Inc. It is with great sadness and sorrow our family announces the passing of one of Summerland’s greatest pioneers and patriots, a wonderful husband and Poppy, Fred Gordon Hollinger, on October 18, 2018. He loved to socialize with family and friends, play guitar, and sing. He was full of fun and laughter, joy, spirit, and wit. And at 86 years, he could still have a dance with his girl. He baked a darn good German chocolate cake and always bragged about his homemade hot chili chicken wing sauce. We all had to agree, it was the best! He became know as the ‘popcorn man of the 90’s’; he loved the fun and laughter of many farmer’s markets. He gave, from the heart, to many charities. He was always there for anyone. 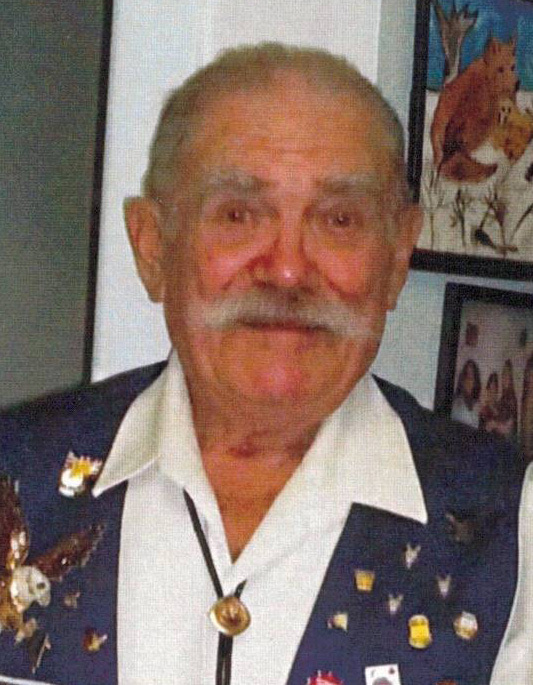 Fred joined the Elks and was also a member of the Eagles for 60 years. He loved the Eagle Girls. He could play guitar, sing, and dance the night away with them. He had three Eagle wives, loved them all and they all loved him! He also joined the Vintage Car Club of Canada where he met many friends whom he loved and respected. His greatest hobby was his 40 x 40 garden in his Prairie Valley home which he so loved. Fred had a true love for his God, his family, and his friends and will be sorely missed by all who knew him. We all love you too, Fred and Poppy. You’ll always be with us in our hearts and the stars xoxoxoxoxoxo and until we are together again. Rest well in the arms of our dear Lord and Savior, Jesus Christ. Amen. Celebration of Life at 2:00 p.m. on Saturday, October 27, 2018 at St. John’s Lutheran Church, 15244 North Victoria Rd., Summerland, BC.